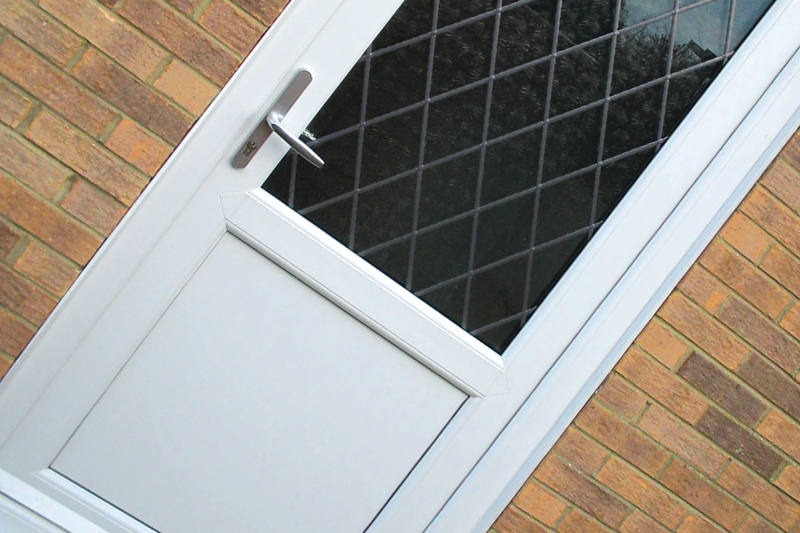 Our uPVC doors will make a welcoming entrance to any style of property. Extremely low maintenance, they never require painting or varnishing and are available in a wide choice of colours with matching hardware, so you can really add curb appeal to your home. Our uPVC doors are fully fitted with Yale’s high security locking systems. We always put your safety first, which is why we use Britain’s favourite multi-point door lock for prime protection. You’ll be receiving complete security and peace of mind when you choose our uPVC front doors from Liniar. We have a wide variety of styles to choose from so you can find one that suits your own personal taste including panel configuration and glazing options. Each of our uPVC doors are covered by the Secured by Design police backed scheme for complete protection on every home. Our uPVC doors come with the guarantee of a £1,000 to put towards the contents policy on your home should a break-in occur involving the door. Outer frame profiles feature a double rebated design to offer maximum protection against the worst of the British weather. Yale Lockmaster multi point locks are the UK’s leading door locking systems which is why we fit them to every one of our doors. You can choose from a standard or low threshold, uPVC threshold or Part M compliant aluminium threshold. You might consider your front door to be the first thing visitors see, but your back door is equally as important. In terms of security the back door of any property is often a target for unwanted intruders which is why our uPVC back doors also come fully fitted with Yale multi point locking systems as standard. Our back doors come in a variety of designs including a panic door system. This option offers a push bar for ease of access, great for emergency exits. Incredibly robust, Liniar’s uPVC back doors contain superior gaskets for the best protection against the wind and rain.